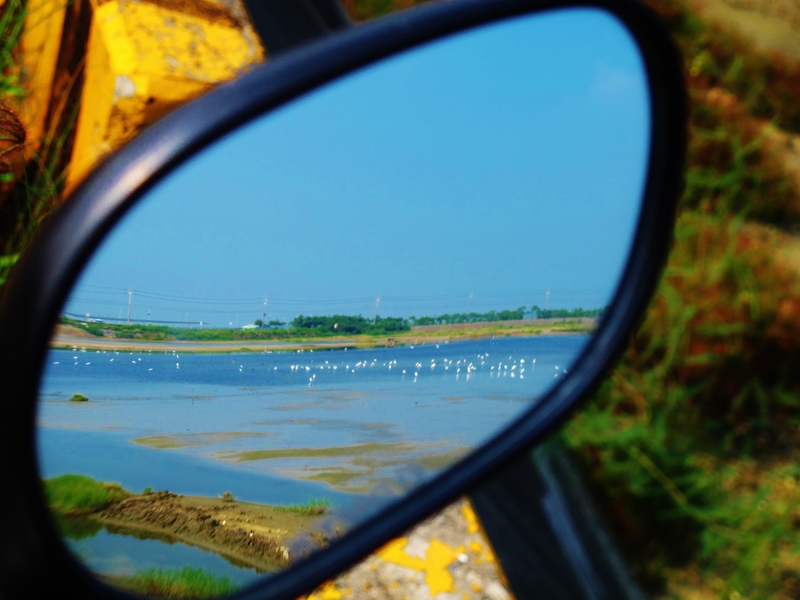 View in my scooter’s mirror of the wetlands at Km 134.5 on Highway 17, which today were absolutely teeming with egrets, terns and passage waders. It’s no surprise that my favorite times of year for birding coincide exactly with the peak periods of wader passage, in April/May and August/September. 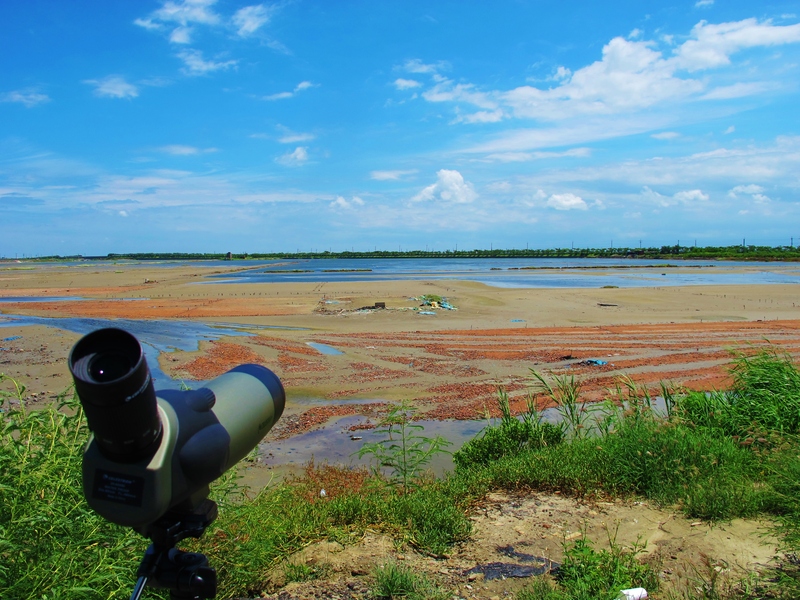 Shorebirds have started passing through Taiwan in huge numbers, making for some spectacular birding at coastal marshes. 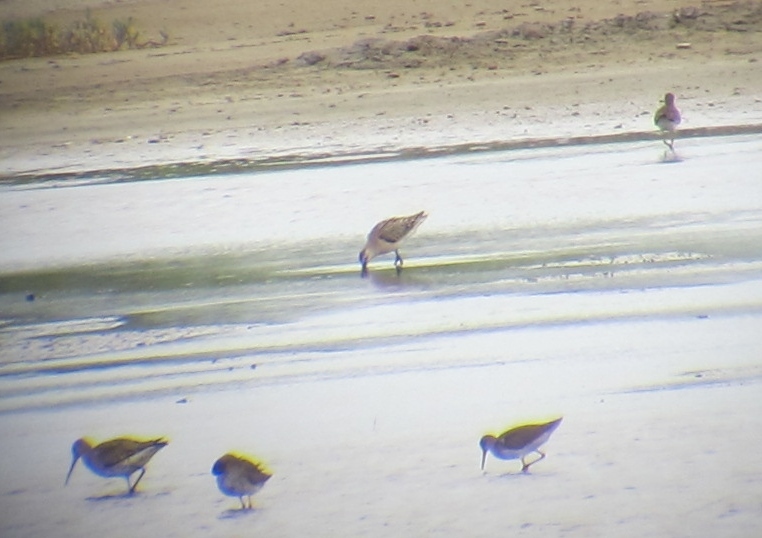 It’s not to everyone’s taste, but personally I’m never happier than when I’m peering through my telescope at vast flocks of feeding waders, looking for the scarcities among them. Today I started once again at the Km 134.5 marshes alongside Highway 17, where an early good find were two Temminck’s Stints creeping around at the edge of the wetland. The pools here were absolutely teeming with birds today, notably a nice flock of 92 Eastern Black-tailed Godwits (but, unlike last week, there were no Asian Dowitchers among them). Terns aplenty on the mud included a lone Gull-billed for a short while before it flew off west, and a juvenile White-winged among the abundant Little and Whiskered Terns. 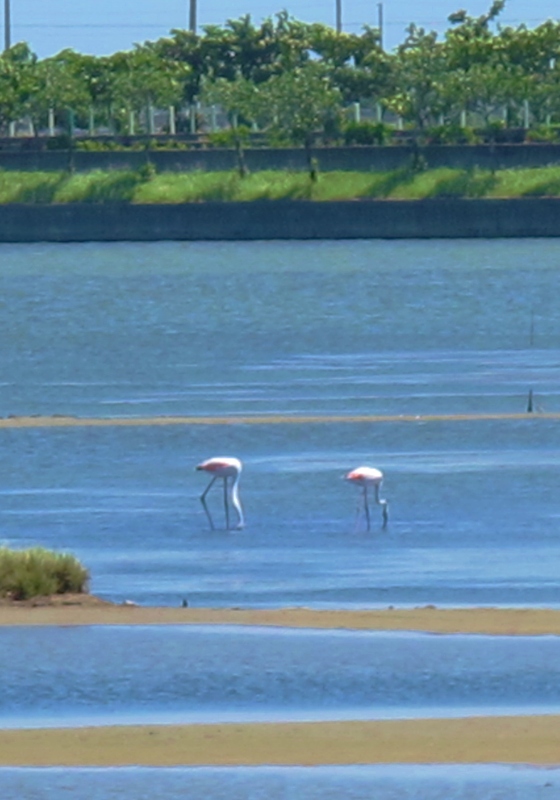 However, nearby there was no sign of the two Greater Flamingoes at “Flamingo Pools” (alongside Km 276 on Expressway 61). 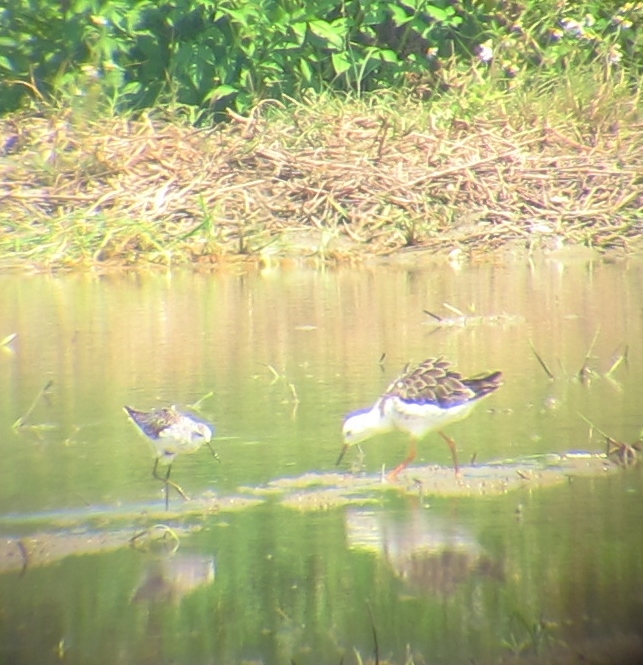 Male Ruff (right hand bird) on flooded fields near Km 146 at Beimen. 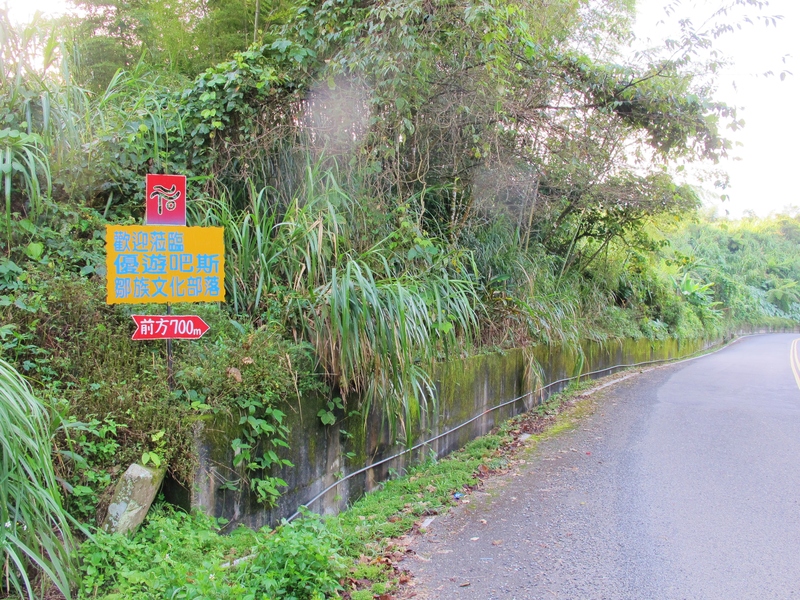 This is a scarce passage migrant in Taiwan. 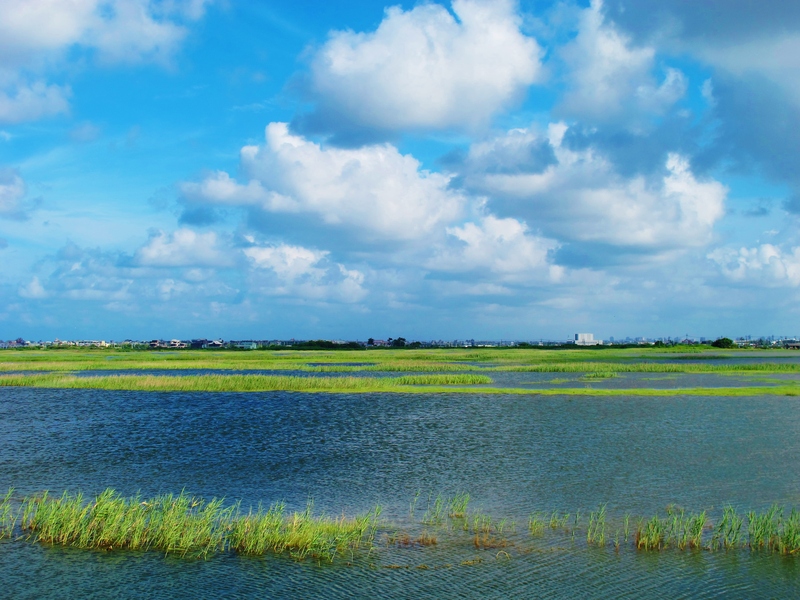 Today I spent a fair amount of time at the excellent area of flooded fields in the vicinity of Km 146-147 on Highway 17. Almost every field had flocks of Red-necked and Long-toed Stints, Little Ringed and Kentish Plovers, Wood Sandpipers, Common Redshanks and Black-winged Stilts, with small numbers of plenty of other species among them. The prize here was a male Ruff, a scarce migrant in Taiwan. Also here were three snipes, at least one of which showed characteristics of Pintail Snipe. 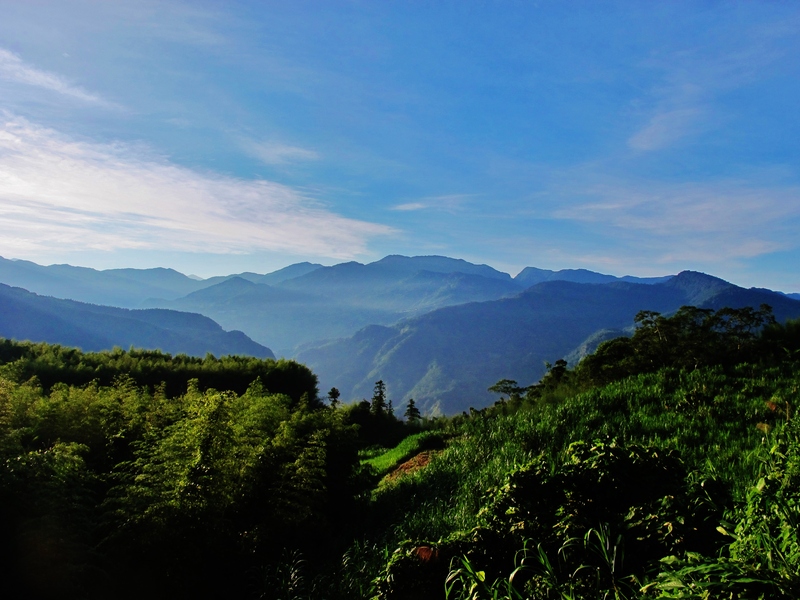 This is an expected passage bird in Taiwan but one which until today I had not yet satisfactorily seen. My final halt was Qigu, where one field held enormous numbers of waders including an excellent count of 40 Turnstones, plus my first Sharp-tailed Sandpiper of the autumn. This was a common passage bird in the spring; I imagine that their autumn passage period has yet to properly get underway. 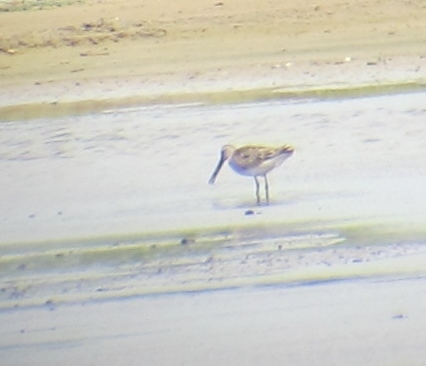 Along the seawall loop around the Qigu marshes there were relatively few birds, but those I did see plugged some gaps in the day list: lone Terek Sandpiper, Grey-tailed Tattler and Grey Plover, and several Whimbrels. 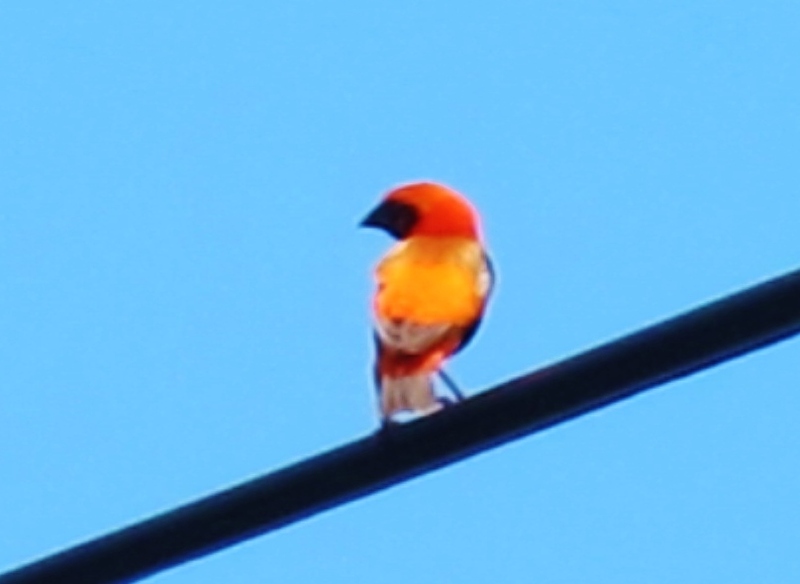 Southern Red Bishop? Qigu, August 27th. While watching some waders, I was distracted by an unfamiliar song coming from the banks of the canal behind me. 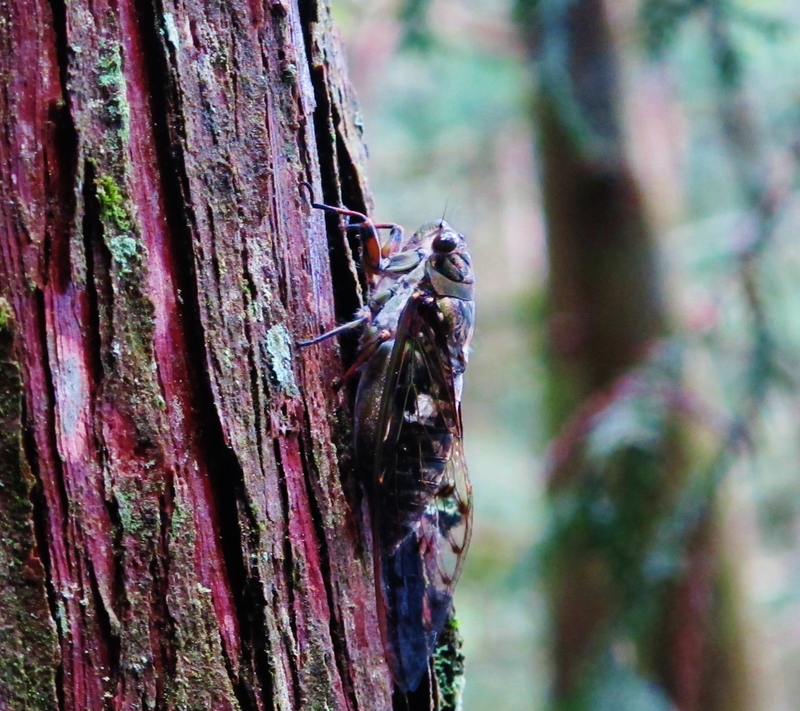 The protagonist was a small and very colorful bird, which seemed to be aggressively holding territory, chasing off any Japanese White-eyes and Scaly-breasted Munias that dared come too close! 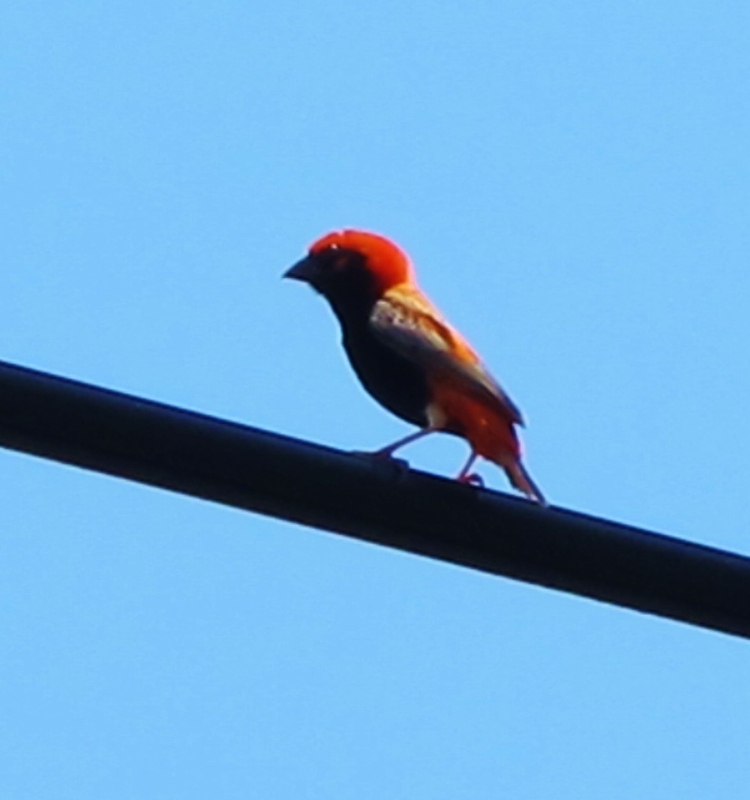 It looked to perhaps be a Southern Red Bishop, but in other photos I’ve seen of this species they normally seem to have a red collar (not an all-black face and breast). It’s obviously an escaped cagebird, but I would welcome any comments as to its identification. Taiwan ticks: Ruff, Pintail Snipe (total 243).